To enjoy our cheeses at their best, it is important to serve them at room temperature so as to allow the gentle creaminess and subtle range of flavours to sing through! Cut off as much as you think you will eat in a single sitting and leave out on a cheese board for several hours before enjoying. 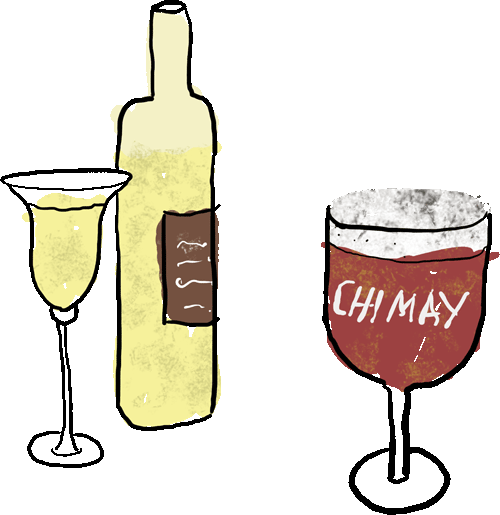 Fermentation is the crazy magic that unites craft beers and farmhouse cheeses, and it just might be the thing that explains why craft beers and farmhouse cheeses are so suited to be enjoyed together. Whether your craft beer comes from Seattle, Galway or Munich, you will find that the piquancy of Cashel Blue® or Crozier Blue will amplify the hoppyness of an India Pale Ale, and will contrast with the creamy bite of a good stout or porter. We particularly enjoy Cashel Blue® with Chimay Blue or many of the craft Irish porters, including Eight Degrees Brewing Knockmealdown and White Gypsy Russian Imperial Stout. Hailing from Ireland, we had to give whiskey a go when it came to finding a match for our cheese. 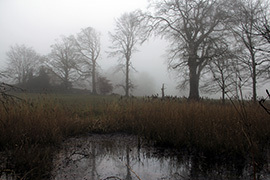 While this may sound a bit of a strained marriage, it can, in fact, be a rather pleasant one. Things to look out for are gentle peaty/smoky notes balanced by a slight caramel character that generally comes from the oak aging process. Connemara Whiskey is a particularly good match. With Crozier Blue we would suggest a slightly more robust approach. 12 year old Jameson can also marry well with Crozier. The latest trend in food loving circles is to find the right gin to match with farmhouse cheese, so the next time your are pouring a Tanqueray or a Shortcross Gin, get out the cheese board and see what combination is your favourite. We would love to hear how you enjoy your blues! Why not Tweet or Facebook us your favourite combination – be it with beer, wine or coffee! Tradition will say that farmhouse blue cheeses are the classic match for red wines, and for sweet dessert wines, most especially Sauternes, although we do enjoy traditional style Italian Vin Santo. And for many wine lovers, you simply can’t open a bottle of port without having some blue cheese to enjoy it with. When it comes to port however we need to be cautious as really it is only suited to a very mature Cashel Blue®, and typically works better with Crozier Blue. We would recommend an aged subtle Tawny Port as distinct from a fruit driven stronger Ruby or Late Bottled Vintage. Sweeter wines work better with a more mature piece of blue cheese. When it comes to the younger, more acidic Cashel Blue® or Crozier Blue, it is necessary to find a wine that compliments the cheese with acidity of its own. 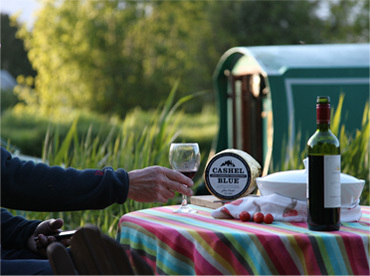 For example, Cashel Blue® works well when enjoying Gewurztraminer as an aperitif. Crozier Blue, which when young is more acidic than Cashel Blue®, stands up well to super-zingy Riesling wines, especially if these have a touch of sweetness as can be found in the wonderful Mosel wines from Germany. However, if you want to eat your cheese with a salad, experiment with an off dry Vouvray from the Loire Valley in France. 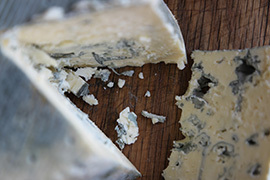 A favourite of Irish chef Richard Corrigan is Crozier Blue soaked in Banyuls dessert wine for several days. 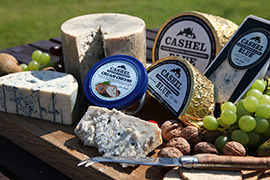 Cashel Blue Cream Cheese is very good with a glass of Pinot Gris and a slice of Rye bread. Finding a red to match with a blue cheese can be a bit more of a challenge, and one that we would argue the “Old World” wines of France, Italy and Spain are more suited to tackle, as they tend to be earthier, less fruity, less alcoholic and slightly sharper. 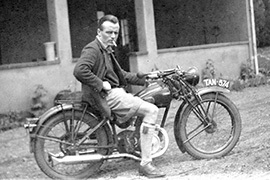 For Crozier Blue try the more acidic Syrah-based Northern Rhone wines or the Nebbiolo wines of Piedmont in Northern Italy, Amarone della Valpolicella also works well. With Cashel Blue® a slightly fatter, riper Southern Rhone can work well, as can a Merlot-based St Emilion (France), a Tempranillo dominated blend from Rioja (Spain) or a mainly Sangiovese mix Chianti (Italy). A note of warning, reds should have a bit of age to them and not have too many of the vanilla tones derived from new American oak in order to not overwhelm your Cashel Blue® or Crozier Blue. 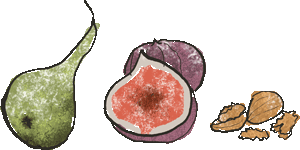 Fruit:Fresh figs or pears, alternatively good quality dried dates and apricots or simply a slice of a crunchy sweet apple. Green acidic apples are better with younger cheese or hard cheeses where you are matching the acidity of youth with the sharpness of the greener fruit. Nuts: Walnuts and Pecans are our favourites, caramelised walnuts are particularly tasty with just a hint of chilli. Chutney: Fig chutney and Red onion marmalade are both good options. Quince jelly works well with mature Crozier Blue. A tomato based chutney such as Ballymaloe Relish works a treat with our Cashel Blue Cream Cheese. Honey: A drizzle of acacia honey over a mature piece of blue cheese is surprisingly delicate. Dark Chocolate: Yes we’re not joking, we came across this concept in northern Italy, try dipping a mature piece of Cashel Blue in melted 85% Cacao chocolate, and enjoying as an appetizer. 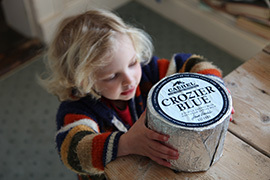 What to serve our cheese on: Our blues are better on a plain cheese biscuit, Water biscuits are ideal, do try to avoid salty or flavoured crackers. We also enjoy our cheeses on Walnut bread, raisin toast or a simple slice of fresh Baguette!